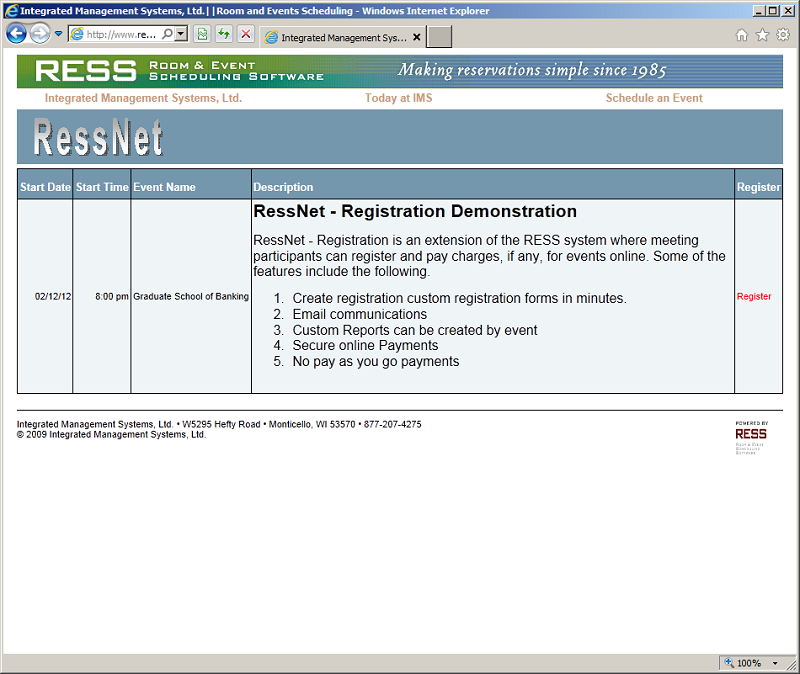 The RessNet-Register option is designed to provide for a flexible, definable registration tool for meetings, camps, conferences, classes and much more with credit card processing. 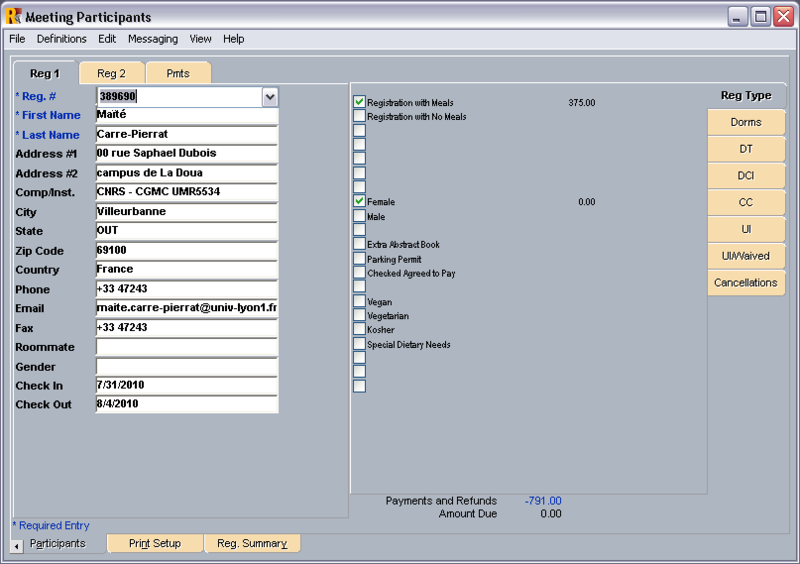 Each event can have unique pages created to capture the registration information submitted. 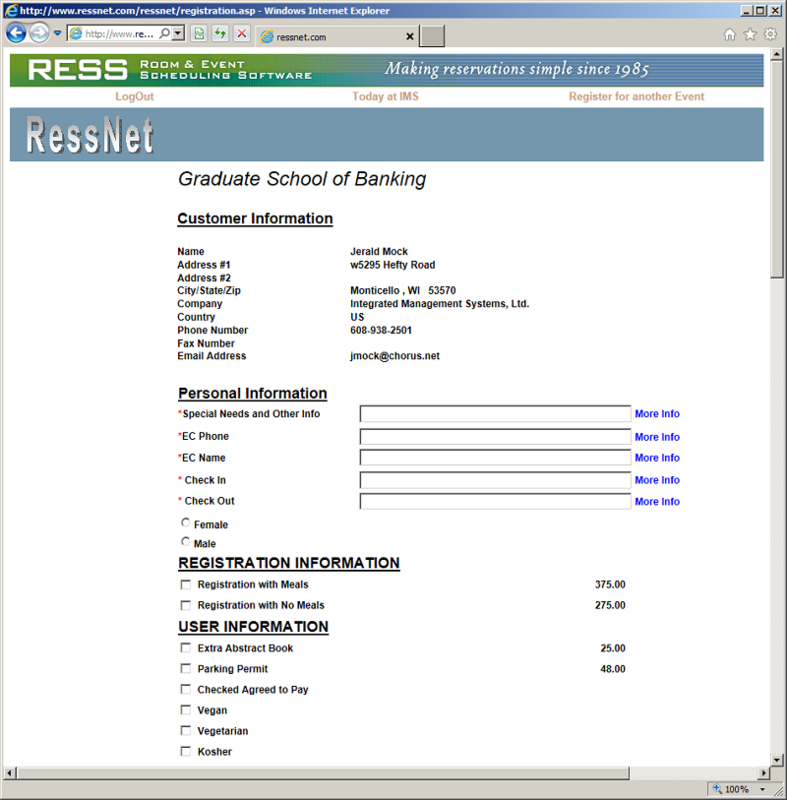 Online registration pages can be selected from a list in RessNet or displayed using the unique URL for that event. 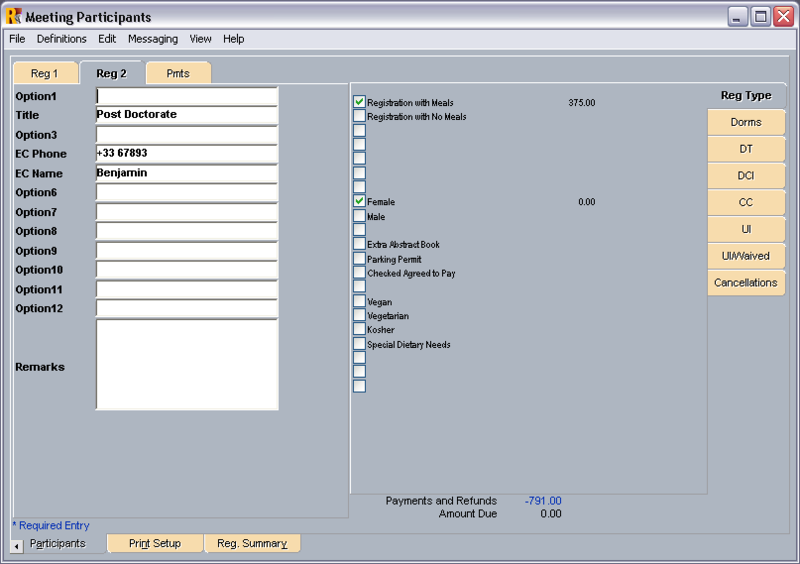 RESS maintains a master database for recurring meetings and returning customers for easy update. 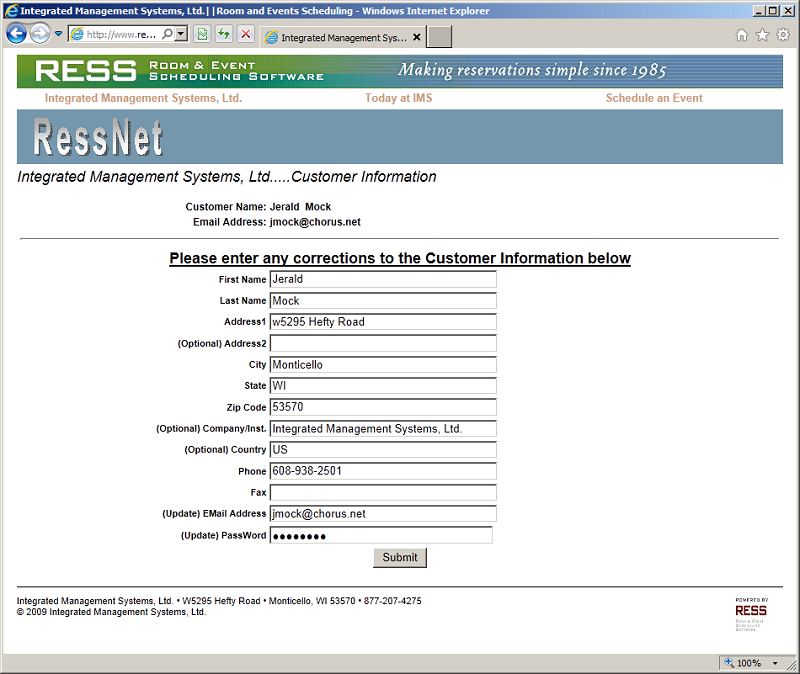 Each event can have unique pages created to capture the registration information submitted. This page can be set to select credit cards for a payment type. 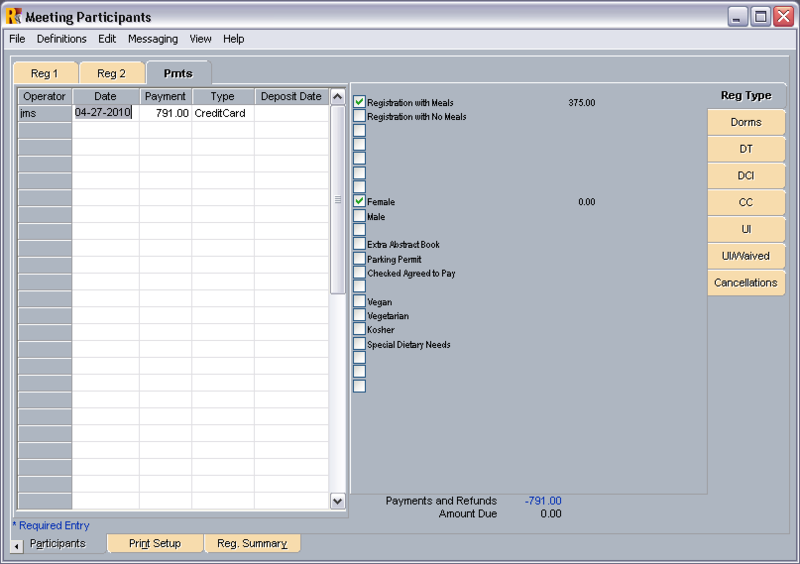 Online payments are automatically recorded in the meeting or conference database. 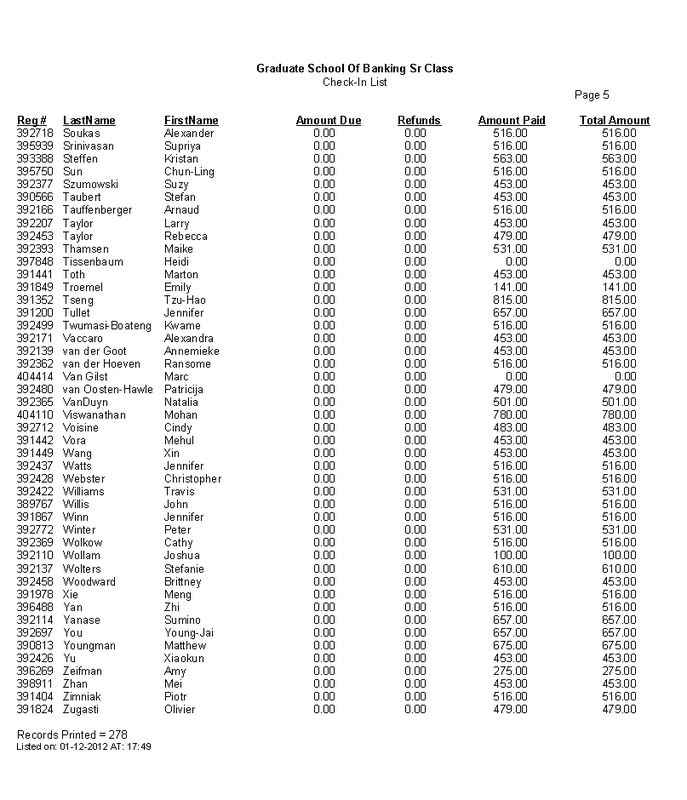 Hundreds of reports are possible in the system including email confirmations used to interface with Outlook and other email clients. 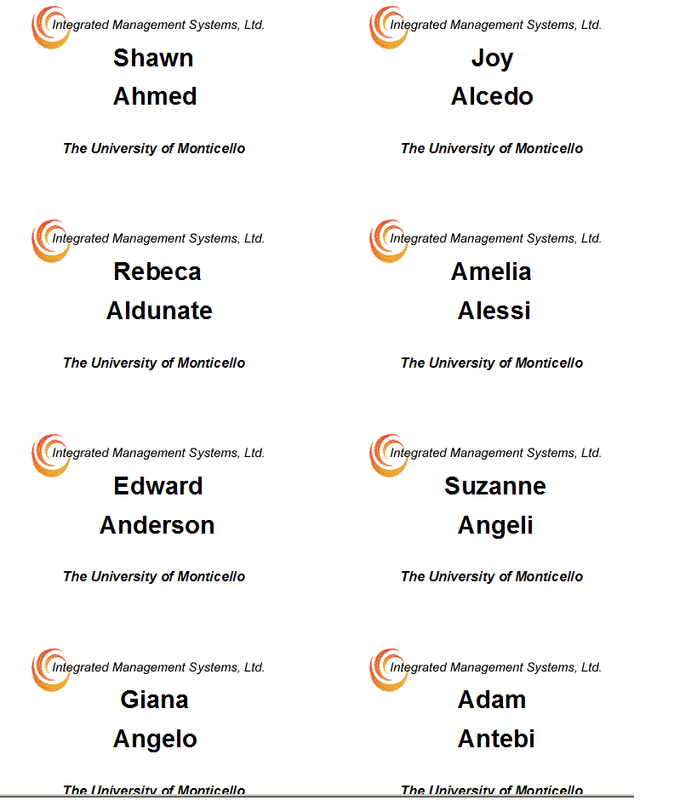 Nametags, Desk plates and meal tickets are possible in RESS-Registration.